Ompong – the strongest cyclone to hit the country so far this year – pummeled Northern Luzon with fierce winds and heavy rains over the weekend, triggering floods and landslides that killed at least 64 people and left billions of pesos in damage to agriculture. MANILA, Philippines — Filipinos should brace for four to five more tropical cyclones that could be as powerful as Typhoon Ompong (international name Mangkhut) in the last quarter of the year, an official of the Philippine Atmospheric, Geophysical and Astronomical Services Administration (PAGASA) said yesterday. Esperanza Cayanan, chief of the PAGASA weather division, said four to five more tropical cyclones are likely to hit the country in the last quarter of 2018. An average of 20 tropical cyclones usually enter the Philippines every year. At a media forum in Manila, Cayanan said PAGASA is not discounting the possibility that another typhoon as powerful as Ompong could hit the country from October to December this year. “For the past years, we have experienced the strongest typhoons in the last quarter,” Cayanan said. 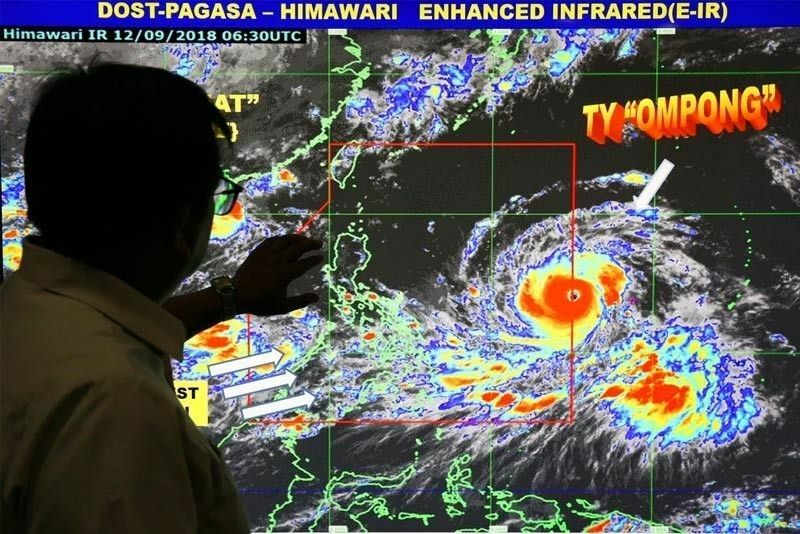 Ana Liza Solis, officer-in-charge of PAGASA’s climate monitoring and predictions section, said extreme Northern Luzon and Central Luzon are the usual tracks of cyclones in September based on climatological data. She said cyclones that enter the country from October to December usually hit Southern Luzon, the Visayas and Northern Mindanao. “Most of the cyclones in the last quarter are crossing (landmass), landfalling, therefore disastrous,” Solis told The STAR. Meanwhile, Science Undersecretary Renato Solidum Jr. urged local government units to continue to conduct simulation drills for landslide in the barangays. “Local officials can hold simulation drill. There is much information provided to them. These should be translated into action at the local level,” he said at the same forum, referring to hazard maps created by the Mines and Geosciences Bureau and the Philippine Institute of Volcanology and Seismology. Torrential rain dumped by Ompong in Luzon over the weekend triggered massive landslides in the northern part of the country. Solidum said Baguio City received 535 millimeters of rain in just one day, or 94 percent of its monthly rainfall of 570 mm.